Missing or damaged teeth can deteriorate your smile, your confidence, and your quality of life. With dental crowns and bridges, the San Antonio dentists at Texas Dental will restore your smile, allowing you to eat, speak, and laugh without any pain or embarrassment. Our dental crowns save the integrity of your damaged tooth, preventing you from losing it altogether, while our dental bridges provide an easy tooth-replacement option to revitalize your smile. We use dental crowns for a variety of reasons, including to cover chips and cracks that are causing sensitivity issues or posing an infection risk, or evening out the tooth surface after placing a large filling. If left untreated, damaged teeth will eventually need to be extracted, which means either leaving a gap in your smile or getting a dental implant or bridge. In the case of damage or infection, Dr. Miranda may perform a root canal to save the tooth, and then fuse a natural-looking porcelain crown on top to protect the damaged tooth. 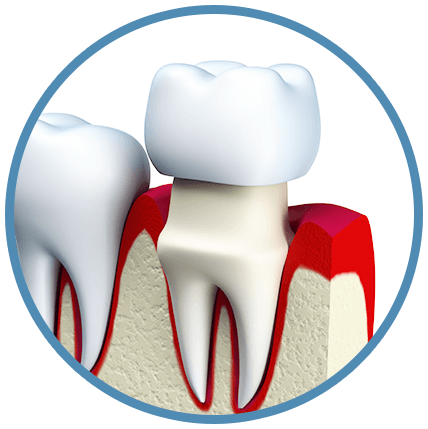 Dental crowns, also known as caps, will match the same shape, size, and color of your surrounding natural teeth. If you have a missing tooth, it can affect the appearance of your face as well as the way you chew and talk. Missing teeth can be both painful and embarrassing. Your teeth may drift when you are missing a tooth, causing misalignment and bone loss. 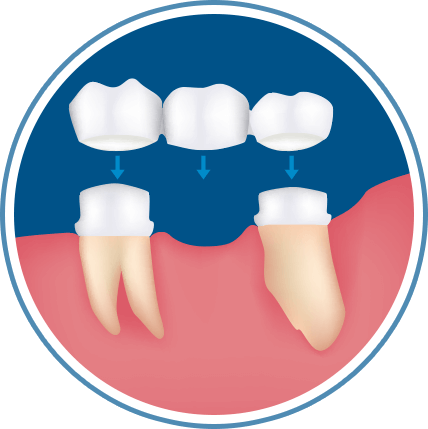 Dental bridges correct these problems by replacing your missing tooth. If you’re ready to repair a damaged tooth or replace a missing tooth, call one of our dental offices in San Antonio today. We have two convenient locations, and our experienced dentists will restore your teeth with precise and gentle care.